I don't think I have ever been convinced over a game that I, at first, held no interest in what so ever. But you can't not be Intrigued in to how Bungie are handling their fanbase when it comes to Destiny. What sold me off first was the fact that the Destiny franchise is going to span over an entire decade, that alone is just absolutely nuts. There is so much to look forward to already let alone what news you are about to read below. A letter was received recently by Gamestop managers regarding some rather exciting news to do with Destiny’s imminent BETA release. 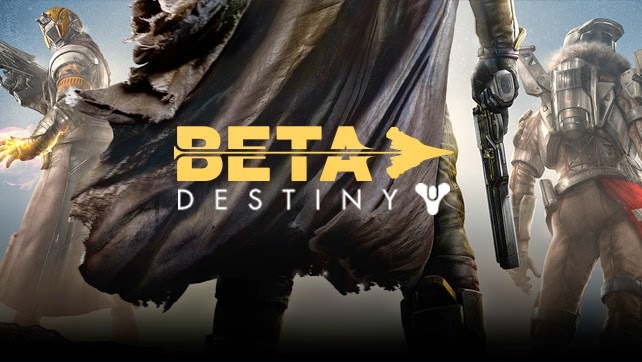 “Destiny’s BETA is even bigger and better than the alpha, featuring 4 story chapters, 4 cooperative multiplayer maps and a huge world to explore with your own unique guardian. Now according to Bungie the BETA release is going to be treated like a full product launch meaning us gamers will have a huge helping of what the Destiny universe will have to offer us. So it goes without saying that what has been revealed to be included in this BETA will surely be the majority of the Destiny universe. We can also expect a fairly heavy hard drive requirement when the BETA drops from both PS$ and Xbox One. Xbox One has been confirmed as to requiring 12.63GB of space where as the PS4 requires 14.3GB, so I imagine there won’t be no hang ups what so ever when exploring Destiny’s folklore and universe has to offer. PS3 and Xbox360 are still yet to be confirmed. That’s Playstation owners being granted 8 days access to the BETA and Xbox owners just 4 days. Also if you play the BETA on Saturday July 26th you will earn an exclusive emblem, possibly a little “thing” that will represent to other players that you took part in the BETA. Allegedly Bungie are also going to offer players some unannounced fun and surprises during the BETA. It’s so incredibly refreshing to hear of a company that is doing so much for its consumer, it is often unheard of these days.